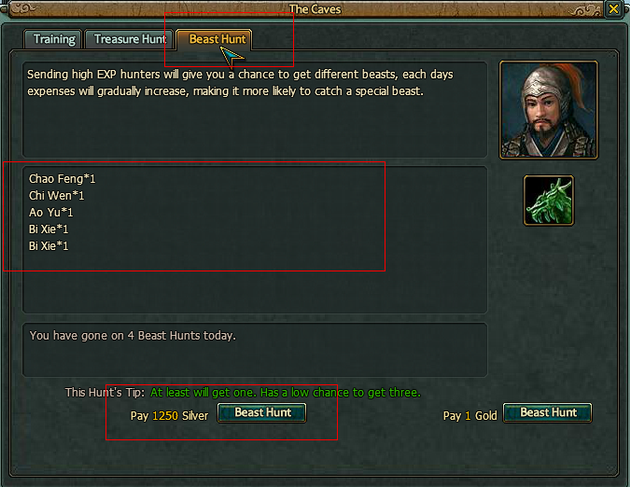 After the new version update, You can enjoy a lot of fun from the new beast order system. 1. 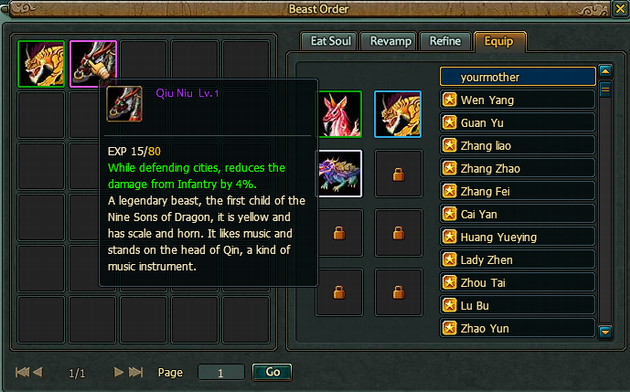 The Beast Order can be equipped on the heroes like other equipment, and it can be used to increase the power of the your heroes, players can get these Beast Order by scouting in the cave, The hero can equip multi different Beast Order at same time, but the same type of the Beast Order cannot be equipped on a same hero. 4. You can refine your Beast Order to change the type of effect it have by consuming another Beast Order, And the important is, the result of the refining is related to the color of the Beast Order which is consumed, For example, if you refine your blue Beast Order by consuming a green Beast Order ,the effect of blue Beast Order will be changed at the last.